Polaris ORV app users can access real-time weather and trail conditions generated through the Aeris Weather API, powered by HAMweather. Through a simple press and hold on the map location, they can view the conditions of the trail and area they want. The app has many impressive features to it that makes the app unique and intriguing for the user. The development of the digital gauges that interface with their Polaris Link Bluetooth module are designed to supply the user with real-time engine and vehicle data in a easy to read and highly animated interface, especially when transitioning through which items are displayed. Another unique feature is the custom activities endpoint HAMweather developed that can rank how good or bad conditions are for a specific outdoor activity based on certain weather criteria, such as snowmobiling or motorcycle riding. Very cool app! All atv trails are on it with satellite imagery. Easily loads and easily navigated. To achieve their goal, Polaris set out to increase total users and total usage of the app which required a significant enhancement for version 2.0 from version 1.0. The app had become aesthetically obsolete in v1.0 and had only superficial capabilities that included a weather offering and limited ride tracking functionality. The challenge was to make the app more focused around the Polaris vehicle fleet and each particular sport, as well as tracking the individuals ride while utilizing the other components of the application. Additionally, the user experience, app flow, specific sport weather conditions and activity were the preeminent focus points of the app redevelopment for Polaris. Engaging closely with Polaris, a custom rule set was built for each sport based on weather conditions that provided a more meaningful and useful weather integration and display for the user. The upgrade for Polaris also improved the performance of the Aeris SDK weather map component in-regards to reducing memory usage when used in conjunction with the Polaris app that is also performing the various other tasks the app has to offer. The latest version of the suite of Polaris mobile applications has provided snowmobile and ATV enthusiasts with a useful set of features at their fingertips for every adventure. By integrating each sport with the latest weather information, Polaris riders will always be prepared for what the weather brings. 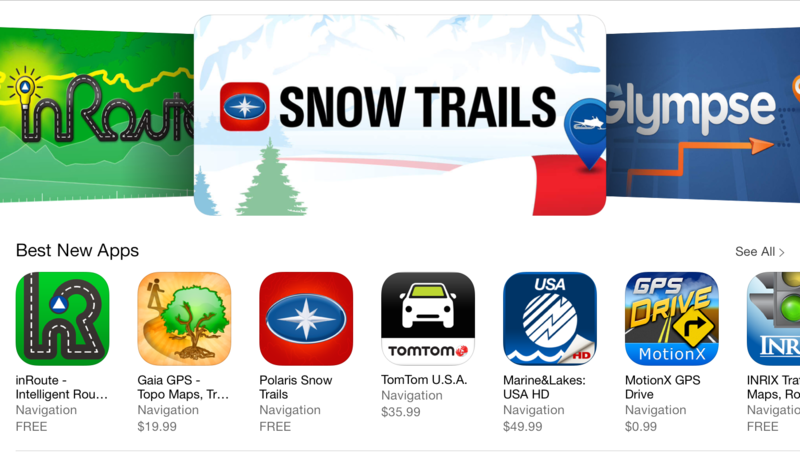 Polaris Snow Trails was also recently featured in the AppStore as one of the best new apps within the Navigation category.